We normally review one game at a time here at Kotaku, but when it comes to the year’s big football games, that changes. 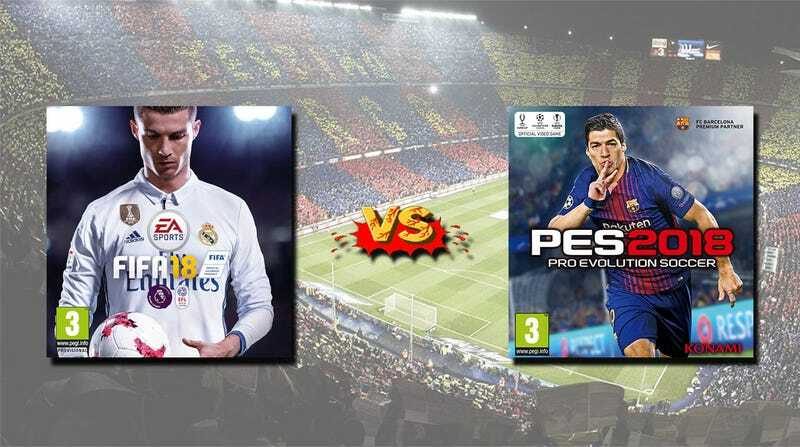 FIFA and PES are like Batman and the Joker: their strengths and weaknesses are defined by the competition, so it only makes sense to look at them together. FIFA 18, despite some improvements to its own animation (players respond to inputs a bit faster, still lags behind. 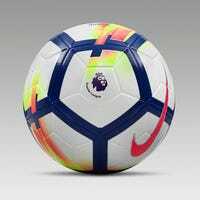 It’s football as a Premier League executive wants you to experience it, all blood and thunder and sprints into the box and cracking top-corner finishes, which is fine, I just don’t have as much fun playing it because there’s not as much room for unique moments, that sensation that every goal you score is different. It also still feels a little too much like you’re controlling 11 wacky waving inflatable arm flailing tube men instead of human footballers. NOTE: I somehow managed to publish an earlier draft of this review-ish thing when it originally went live. It has now been updated.